Ability to install on all types and makes of garage doors. Flexible vinyl will conform to uneven floors. Stays flexible to a temperature of minus 30-degrees Fahrenheit. It is a universal aluminum and vinyl seal. When you order, you will receive a nine foot kit of aluminum with two each at four feet six inches or an 18 foot kit with four each at four feet six inches. You will also receive the vinyl weather seal in a nine foot kit with one each or an 18 foot kit with one each and a four inch T vinyl weather seal. 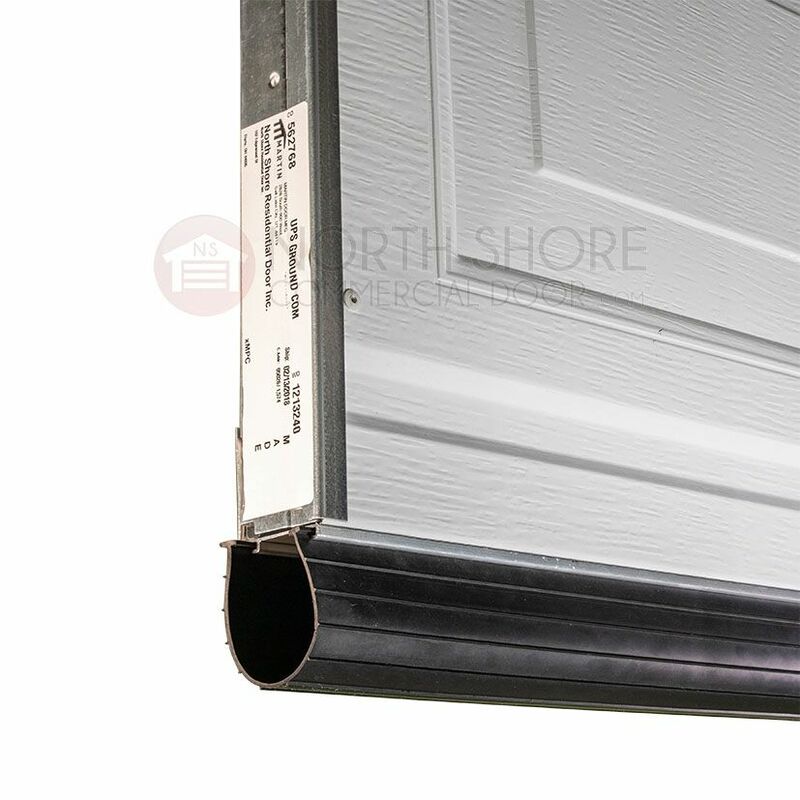 When looking for a Universal Garage Door Bottom Weather Seal Replacement Kit, your one and only destination is North Shore Commercial Door.